A bizarre shapeshifting UFO has become a sensation in many parts of the world by offering eyewitnesses a unique spectacle. 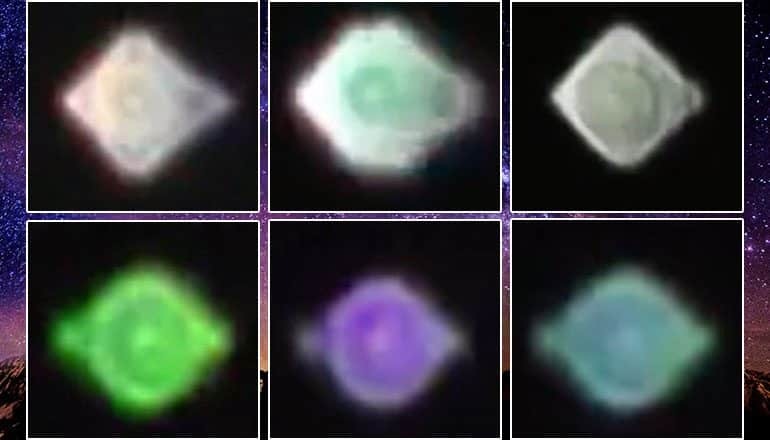 Over the past month, thousands of people were stunned by a dazzling display of color and movement offered by what can be described as a shapeshifting UFO. We cannot determine for sure whether the sightings were all caused by the same object or if there are more than one UFO shape-shifters out there. The vast distances over which the sightings are spread could indicate the presence of several such objects but then again, UFOs can cover a lot of sky in a short period of time so there could be a singular protagonist behind these incidents. One country that has experienced these sightings in an alarming number is the United Kingdom. This month alone, there have been several reports of the UFO manifesting itself over cities like Gloucester, Liverpool and Tynemouth, just to name a few. The video below was taken on March 12 by Gloucester resident Rob Wheatman, who told local media his attention was caught by what looked like a “sparkling star” traveling fast through the night sky. News of the sighting was picked up by multiple media outlets with opinions being divided as to what really caused the strange occurrence. Many UFO enthusiasts are convinced the shapeshifting UFO phenomenon has seen a steady increase over the past few months. Some believe this display is meant to initiate some sort of communication or at least convey a unidirectional message. Last year, one of our readers told us he experienced one such outreach from a similar object. While sitting on his back porch, the witness saw a luminous object spinning across the horizon. It covered a lot of distance in a few seconds and when it got closer, it began pulsating like crazy. The visual demonstration continued for some time during which the second object changed shape multiple times, almost as if it knew it was being watched. Unidentified objects in general and orb UFOs in particular act as if they were intelligently controlled, and this one was no exception. On the contrary, its strange behavior suggests that it was either putting on a show or trying to communicate through visual imagery. If this is the case, it managed to transmit a disconcerting message. The shapeshifting abilities of this craft or entity far surpass any known camouflage technology and this alone seems to suggest their origin is not earthly. Naturally, skeptics attempt to explain this otherworldly phenomenon by invoking – you guessed it – the planet Venus. Since we promote healthy, independent-thinking, we’ll let you decide for yourselves what’s really up there.